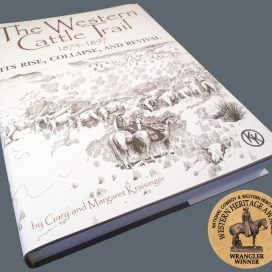 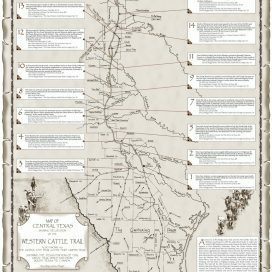 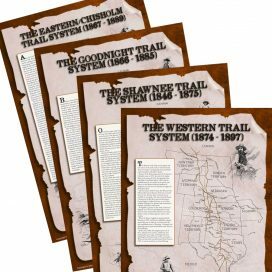 The last in a four-map series shows the largest and last of the Texas cattle trail systems. 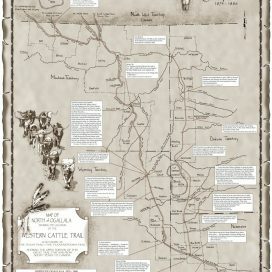 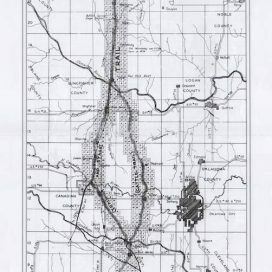 This inclusive map shows the Western Cattle Trail before and after the final Kansas 1885 quarantine. 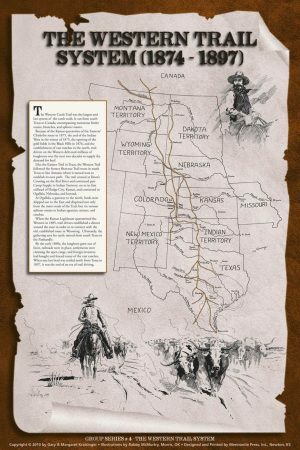 Before 1885 the trail went through Kansas and Nebraska and on north. 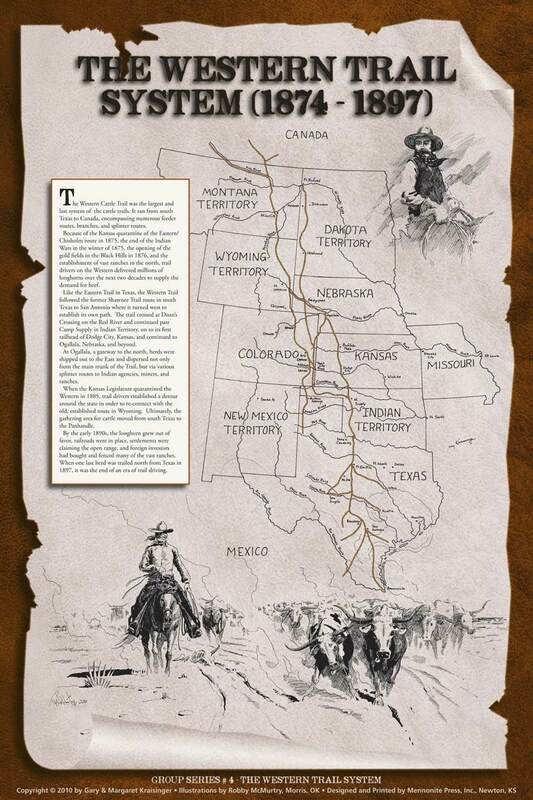 After 1885 drovers detoured Kansas and Nebraska and trailed through Colorado and on north.